25mins before departure time we reached the boarding gate and to my dismay, it looked like holidays at a bus terminal filled with people waiting for a trip. Three to five trips were assigned per gate and obviously the ventilation was not enough. We learned that most of the flights, even international trips, were delayed because of air traffic issues. Whew, ours was moved to 3pm and we had no other choice but to hold and wait. I was worried because we're certainly late for the Lake Sebu last trip, our supposed stop for the 1st night… Hungry, agitated and all, I followed hubby out of the boarding area for some air and for a lunch. 3pm gone by and no sight of progress until finally we were called for boarding at 330pm. We landed at GenSan at 5:35pm and over taxi, we chose the habal-habal to escape the city traffic, also to catch the 7pm last trip at Bulaong Terminal bound for Koronadal City. Thanks to Grasya for referring Maria of Sikat Learning & Training Center who assisted us of our GenSan-Koronadal whereabouts. At Koronadal City, we stayed at Tajmia Economy Suites while we dined at an ihaw-ihaw by the roadside of Gen San Drive. The aroma of the grilled tuna from Gensan City haven't left our senses but with time constraint, this ihaw-ihaw will live for now. 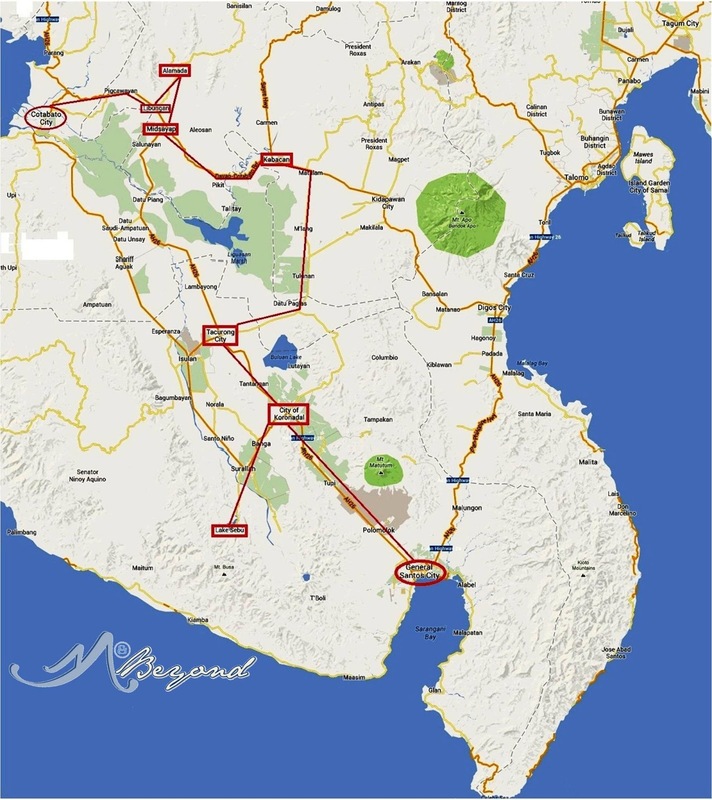 Despite the earlier bedlam, we coped up with our schedule by tweaking our SOCCSKSARGEN itinerary as needed. will post the rest of the stories soon.